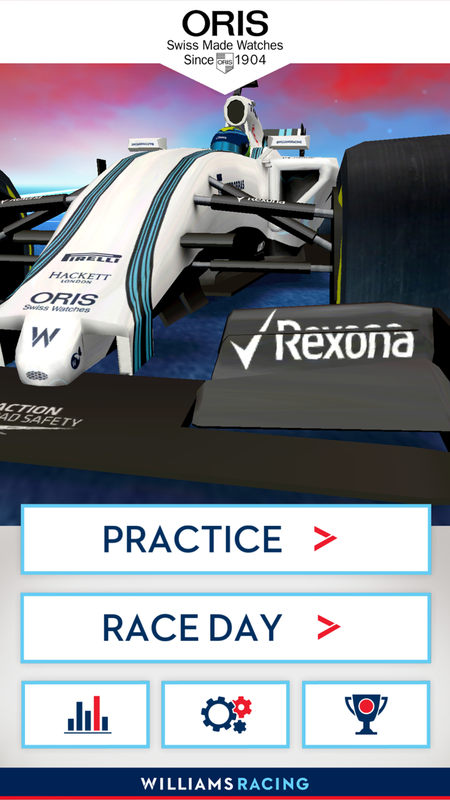 The Oris Reaction Race is a new mobile and tablet game featuring Williams Racing. Photo finish – snap a shot of the car as it crosses the finish line. The five game modes combine to create a full race challenge, from which you can compare your score against your friends and other online users. Oris, the luxury Swiss watch manufacturer in its 13th year as Williams’ Official Watch Partner, is also running a competition throughout the 2015 Formula One season to award prizes to players of the game, which has been developed by Playerthree studio.